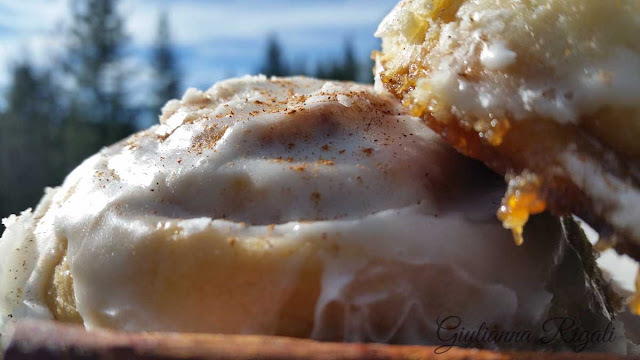 This is the recipe used on The Star Wars Mom's Princess Leia Cinnamon Buns. 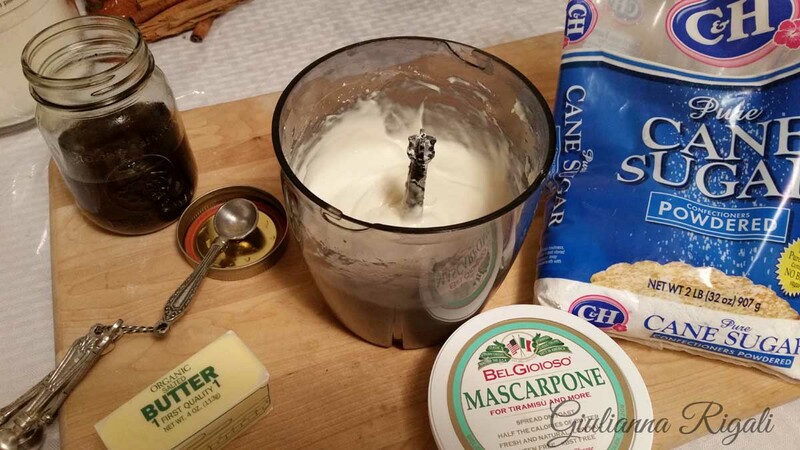 Before you even ask, how is this Italian, let me just say that if one so chooses to use Mascarpone in the frosting that dubs it Italian! Now that we have that resolved, let us move on. Tomorrow is Epiphany. The kids have made La Befana's Sailor Jerry Rum Cake to leave out for the kind, old lady. I am pretty sure La Befana is a very sweet old lady, who used to have an issue with procrastination, until she started goal setting and using a daily planner. My kids are also making Befanini Cookies for tomorrow. But for breakfast they will wake up to Italian Cinnamon Rolls which are made from Potato Bread Dough. 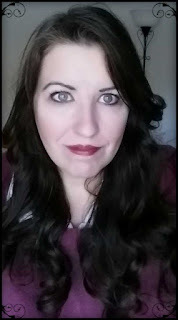 By the way, I have adapted a recipe called Colleen's Potato Crescent Rolls for this recipe I use to make Italian Cinnamon Rolls. I prefer to used instant mashed potatoes in this, because real potatoes are unpredictable as to how smooth you can get them. While that is fine for most potato dishes, one night when I was making potato rolls for Thanksgiving dinner the next day, I spent HOURS squeezing the potato lumps smooth in my dough, to the point of crying. Never again. In a large bowl, mix milk, water, and sugar for dough. Add yeast, stir and let sit until foamy, about 10 minutes. This is proofing the yeast. If it doesn't foam, you might have killed it or have bad yeast. 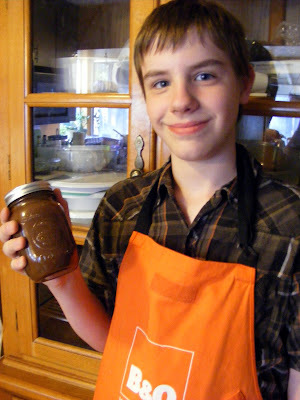 After yeast is frothy, mix in 1 cup mashed potatoes, butter, eggs, salt, and 3 cups flour. Stir in the remaining flour, 1/2 cup at a time, until dough has become stiff but still pliable. Turn dough out onto a lightly floured surface, and knead until smooth and elastic, about 8 minutes. Lightly oil a large bowl, place the dough in the bowl, and turn to coat with oil. Cover with plastic wrap, and either let rise immediately or refrigerate up to 24 hours. Once it is doubled move onto the next step. Remove the dough from the bowl and divide the dough into two equal pieces, and form into rectangles on a floured surface. 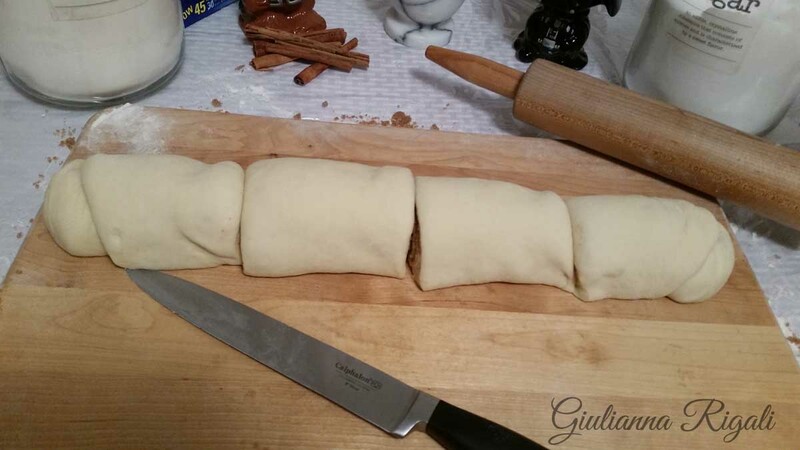 Roll out each piece of dough into a large rectangle. Take 1/2 cup softened butter per a rectangle and cover to outside edges. 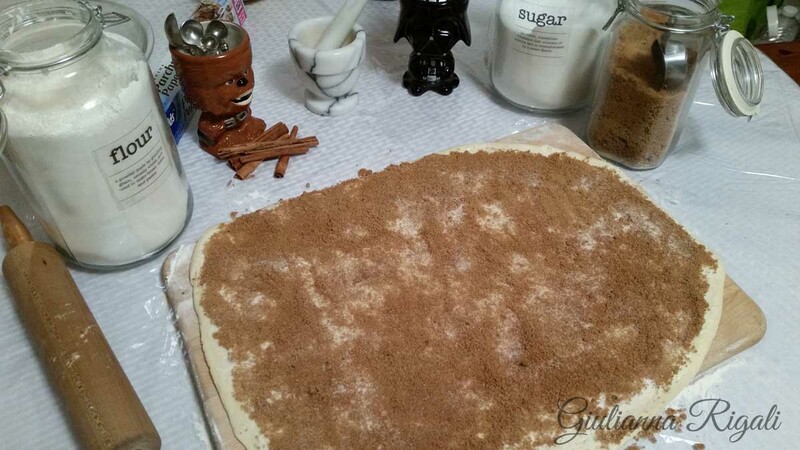 Sprinkle each rectangle with 1/2 cup of brown sugar and 1 cup of cinnamon and sugar. Even it out. Start rolling one wide end to the other wide end of the rectangle. Close up the ends. You can scrunch the roll of dough a bit toward the middle to make the roll even in width if needed. Cut in the middle. Then cut each of the two piece in the middle. Then take each of the four pieces and cut into thirds and you will now have 12 cinnamon rolls out of each rectangle. 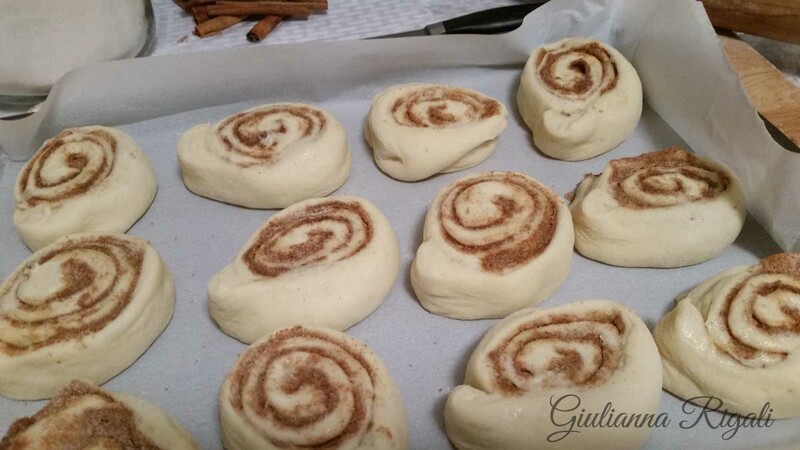 Place on them on parchment paper covered baking sheets with the swirl sides up. Cover, and let rise for 1 hour. Meanwhile, preheat oven to 375 degrees F.
Bake in preheated oven for 15-20 minutes, or until golden brown. Mix all icing ingredients until smooth and the consistency you want for your glaze (adding or subtracting powdered sugar and cream/milk). Smooth on top of the cinnamon rolls while they are warm. Most people enjoy them best when they are warm, but they stay soft for up to 24 hours if kept in an airtight container after cooled.